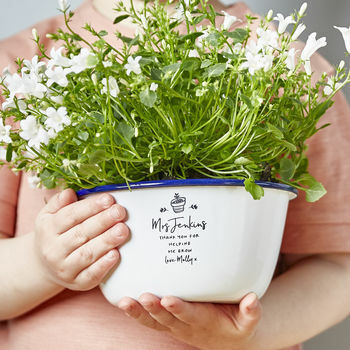 A wonderful Enamel Planter Personalised Teacher Gift. 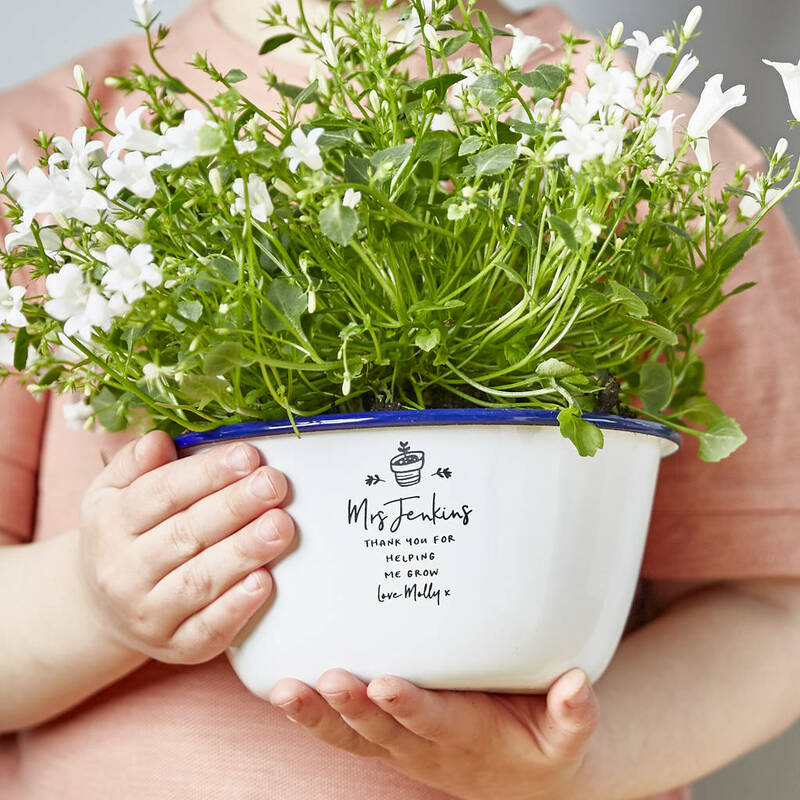 Fill with your favourite plant to create the perfect gift for your teacher. A great way to thank your teacher for helping your grow. 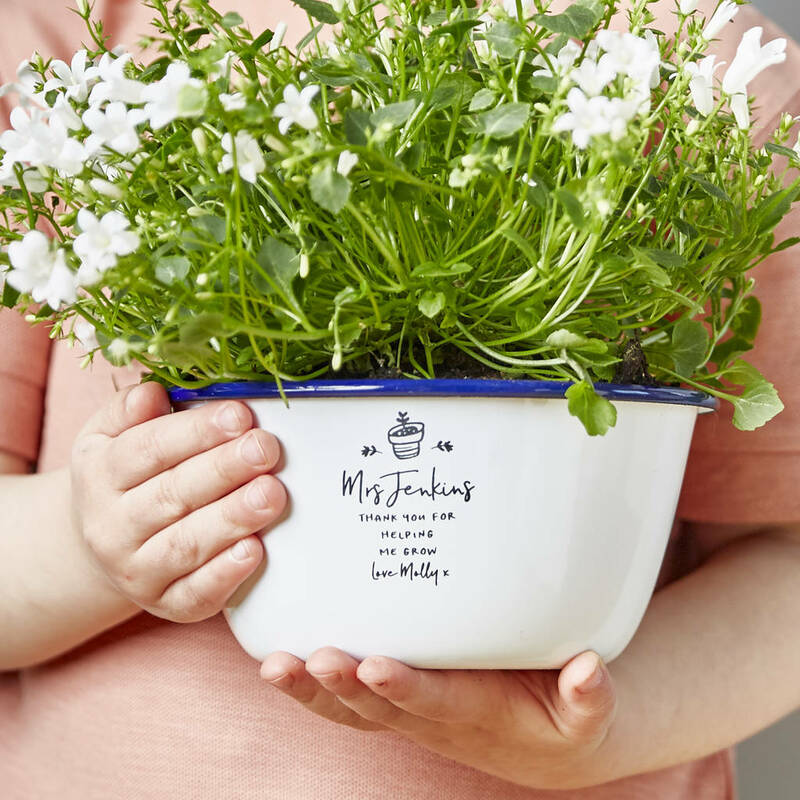 Featuring our lovely font and your chosen personalisation to show how much you appreciate your teacher. 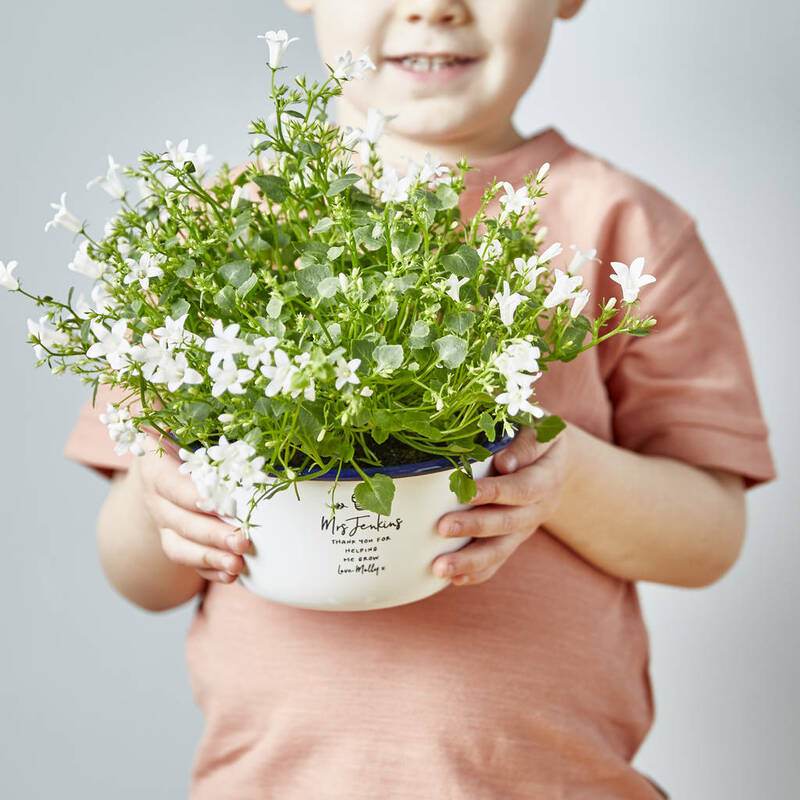 Fill with a pretty plant to create something that your teacher will love and cherish. 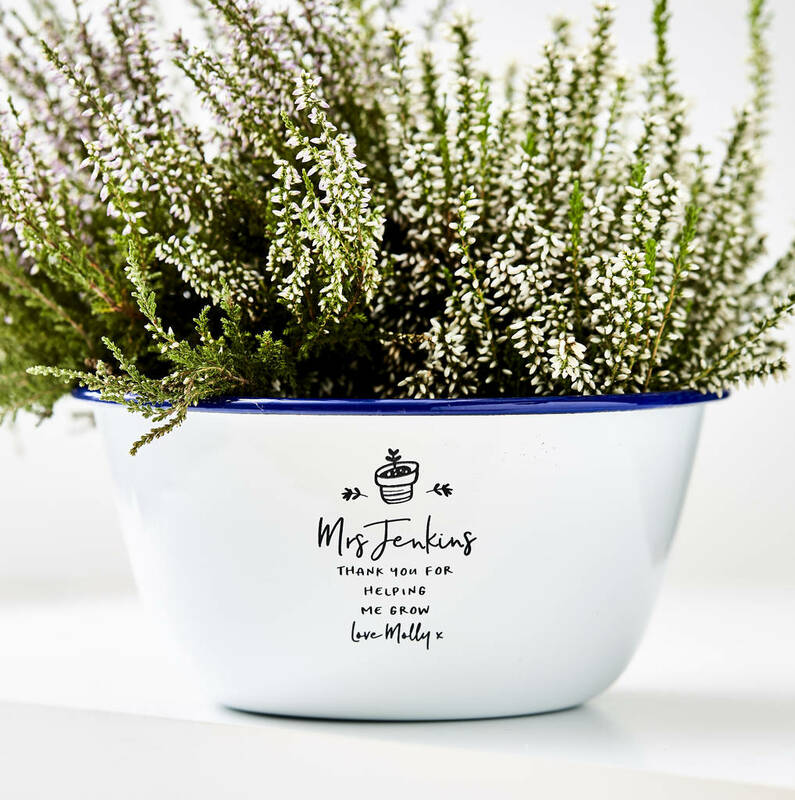 Our Enamel Planters are Made from white enamel with a hand finished blue rim, and delicately engraved with your chosen personalisation. For best results when planting your herbs, fill the base with small stones or shingle, and do not over water.